2017 – 2018 has been a golden period for chefs Bongkoch “Bee” Satongun and Jason Bailey with restaurant Paste featuring in every major award in the region. With the arrival of another season, we take a look at some new creations from Chef Bee's recent research into antiquated recipes and highlight what customers can expect in the coming months from Paste's philosophy of delivering Thai cuisine with “80% something old and 20% something new”. The new tasting menu at Paste starts from 1,850 THB ++, please contact restaurant for more information and bookings. Southern Thai-Muslim origin. Kimmedai, saffron, in-house made curry powder and nutmeg. Fried off in ghee, served with pickles and cured cat fish eggs. Watermelon rind and fish roe soup with sea bass and jicama dumplings. *Inspired by a recipe from Snidwongse Family Cookbook, 1968. 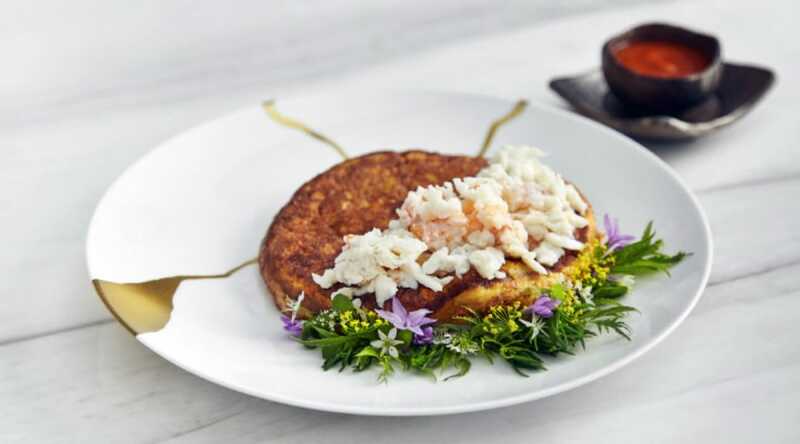 31 flavored Thai omelette with Fraser Island spanner crab. 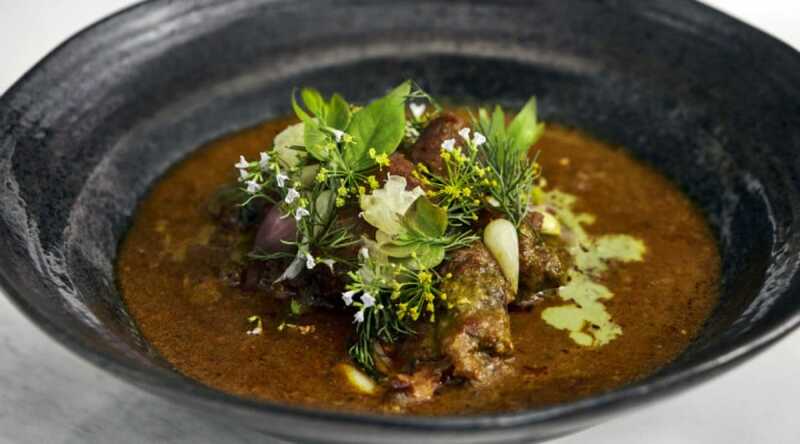 Slow roasted goat with a large array of dry spices, fragrant pandanus, som saa-asian citron juice and young dill. 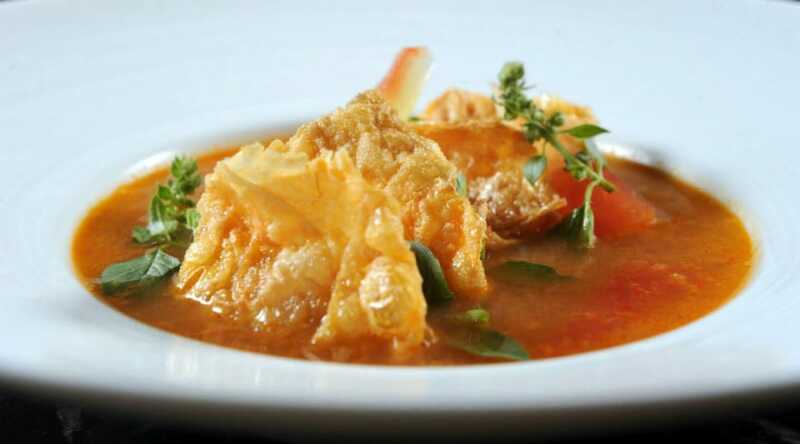 Singhol curry was originally from Sri Lanka. It was introduced to Thailand during King Rama 2 and was altered/adapted to the Thai taste. 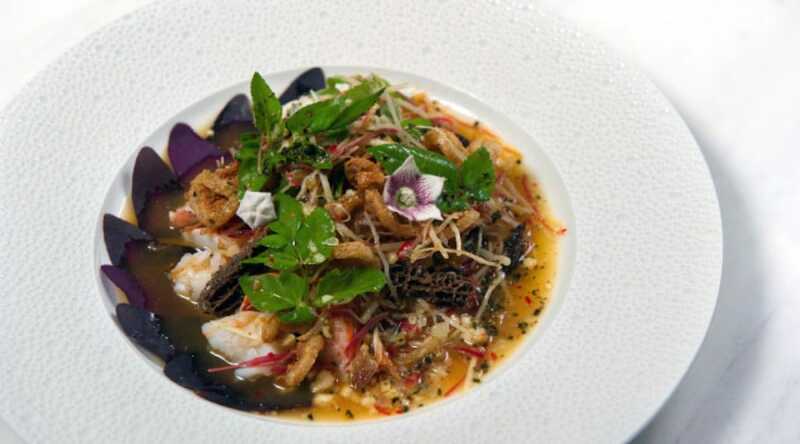 Chive root salad with live lobster from the tank, morel mushroom, Asian citron, air-dried seaweed & white turmeric. The striking interior is dominated by a spiral sculpture made from hundreds of silk cocoons, floor to ceiling windows, and unusual curved booths that offer privacy. 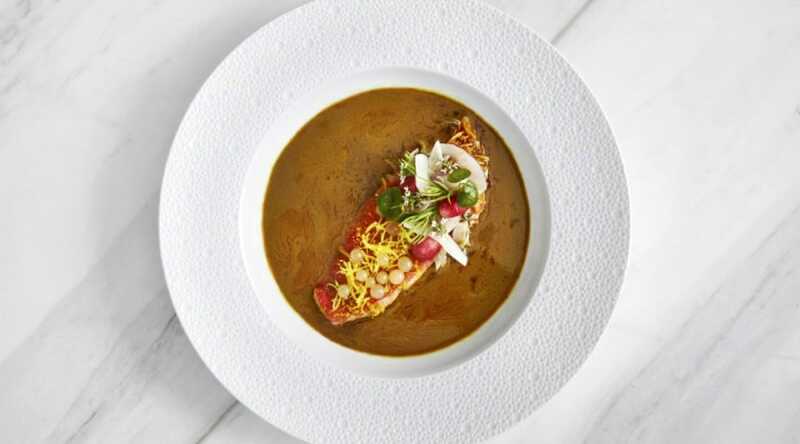 The designed-to-share menu draws inspiration from royal Thai cuisine and uses century-old cooking techniques with ingredients often sourced directly from localgrowers. Signature dishes include roast duck with nutmeg and coriander; fragrant hot and sour soup with crispy pork leg; and yellow curry from the Gulf of Thailand. Service is attentive but not overbearing. 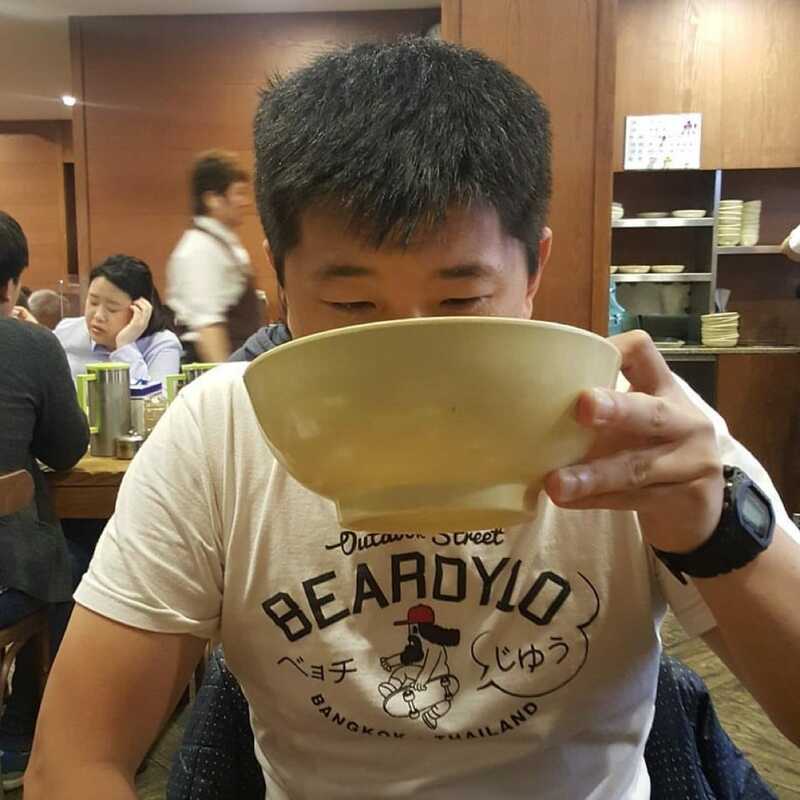 Ranked 4th as the most visited overseas destination for Thais in a recent Visa Global Intentions study, we’ve listed – with the help of our inspectors – the must-eat dishes for foodies travelling to South Korea.